Citizen of the World: Pink Coat and a Bow! 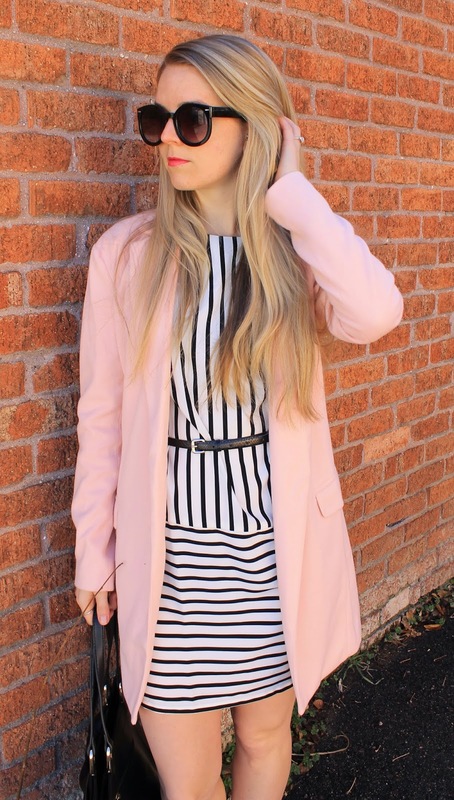 Pink Coat and a Bow! Hey everyone! Hope you are having a great week! We've had some exciting news...we're getting a new puppy in April!! Our little Rocky needs a friend...he's a social little guy and we knew having a buddy would be so good for him! So we're super excited for the arrival of our new fluff ball! Outfit related...I grabbed this bag from JustFab and it's amazing! It's absolutely huge and has such a great bow on it! I love it because it's pretty basic black bag but still has a little somethin' to it! Also, JustFab is amazing! Great company, cute stuff that's super affordable and you aren't required to buy something new every month...you can skip really easily! Not only that but their stuff is at such a good price that spending $40 on yourself every month isn't totally unreasonable! Hope you like it!! Enjoy! Love love love this look! The bag is super cute and I am also really loving this pink coat! You look great!